There are several, but the main topic that I am working on now is about the people who claim kinship relations with the founder of Islam, the prophet Muhammad. Muslims today emphasize the fact that Islam is a religion of equality and that all believers are equal under God. However, in reality, there have always been people who claim to be members of Muhammad’s family. The kings of Morocco and Brunei are examples; not only kings, but some beggars, too, claim to be Muhammad’s kin. Such people exist in all social classes, ethnic groups, and nations. What kind of special privileges or status have they enjoyed, and what is the discourse that distinguishes them from other Muslims? Are there measures taken to prevent false identities? Or how could the lineage maintain its prestige regardless of the fact that there may be countless frauds? These are some of the issues that I am presently looking into. ―― Does studying Muhammad’s clan lead to further understanding of the Muslim society that lies in its background? That, too, of course, but more than understanding Islam or the Islamic civilization—though this is a bit embarrassing to say—my interest lies in the study of the human race as a whole. 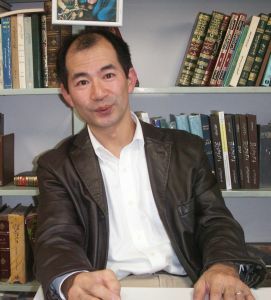 Throughout the study of Islam, especially that in Japan, “Islam” has often been envisioned as the monolithic “other.” Scholars of Islamic Studies have often claimed their objective as to understand the significant role that the Islamic civilization played in the history of the world, or to break away from the Western-centric view of the world. However, such studies simultaneously identify “Islam” as an object for understanding the ultimate “other.” I myself was first attracted to Islamic Studies because I was searching for a non-Western-centric perspective. However, my position gradually shifted as I delved further into my studies. Indeed, there are the specifically “Islamic” ways of solving various problems that arise in the human society, which developed over the long course of history. Revealing such traditions is in itself extremely rewarding, and is important, too, as the world is getting smaller and smaller. However, I prefer to interpret such differences as a reflection of human nature, and to look at the Muslim societies more as one of the many unique theatric stages for the better understanding of humankind. I consider my study of Muhammad’s family to be a study of how humans create and develop the concept of a lineage. I wish to study the Muslims not for the sake of understanding the Muslims as the “other,” but to better understand the human race, of which I, too, am a member. 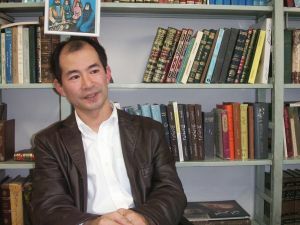 I believe that this stance to study the Islam and the Islamic civilization and the Muslims is important to help us transcend the general Japanese and Western perception of Islam and the Muslims as the “other” that is decisively different from ourselves. ―― I see. You’ve just exposed me to an extremely new perspective. How did you come to hold such a view? When I was a student, I recall that “Islam” was generally depicted as rosy. It was presented as a free and flexible culture as opposed to the modern civilization, characterized by solid and rigid institutions. There was also an urge to break away from the Western-centric ways of thinking. For a simple-minded student like myself, I must admit that I was clearly showing signs of becoming Islam-centric. It was under such circumstances that I went to Iran to study; however, somehow, my experiences there did not quite comply with the image of Islam that I had held till then. My bodily senses were disapproving me of analyzing Islam through a viewpoint originating largely from my own, selfish interests. From there, it came quite naturally for my mind to proceed in the direction to capture the subject of my studies as human, just like myself. ―― What is the most intriguing element of your research? For one thing, I enjoy observing the changes in my own perceptions—I wish to refer to it as the “deepening” of my own perceptions. Some time ago, a person came up to me and said, “You don’t treat Islam as if it were special; that is very rare.” I was very pleased to hear that comment. 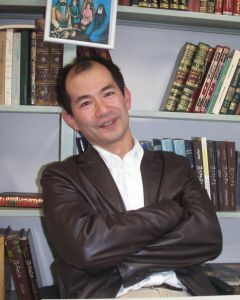 I realized that some people do recognize me, although I have only written plain research articles. Sorry; this is more of how I was happy with my research, rather than what interests me. In a more specialized context, no one had recognized Muhammad’s family as a serious subject of research until about a decade ago. Everyone knew that they were everywhere, and that their lineage was considered very important. However, it is precisely because we meet them everywhere that they were taken for granted, and the importance of the lineage had been neglected. To unravel the meanings of this lineage actually turns out to be meaningful to other researches, too, since they appear everywhere. That certainly gives me pleasure, although it is not always easy. ―― Your thoughts were new to me, and I truly enjoyed listening to your ideas. Lastly, could you please tell us your future prospects? Apart from my research on Muhammad’s family, I have been interested in a figure who lived in Iran in the mid-twelfth century. I am looking into how important cultivation in the Arabic language was to him and to his environment, and how much prestige it had in comparison to the Persian language, which is the national language of Iran. To the people of Iran today, the Persian language is an important part of their national identity, and we assume that that had always been true. Yet I wish to venture to look at how important the Arabic language had been. I would like to point to the Iranians that their picture of an “Iranian” is not necessarily historically accurate. I feel that when I choose my research topic, I have a tendency to find something that everyone believes in and to present a different perspective to let them realize that that may not necessarily be true. I do not know if you can call this my prospects, but I feel that I will probably continue to be caught in such perverse topics. As for my research on Muhammad’s family, since there seems to be a few people around the world who are becoming interested in this topic, I wish to join forces with them to further our studies. As an initial step, I organized an international conference this September at the Institute for the Advanced Studies on Asia. To speak of which, a small book written for the general public will come out in January. It would be nice if some younger people who read the book may find interest in this topic. (Seinaru kazoku—Muhanmado ichizoku (The Holy Family of Islam: The Kinsfolk of Muhammad), Yamakawa shuppansha).